Bioinitiative 2012 has just released its 2012 report on January 7, 2013, an update of the 2007 version. It includes approximately 1,800 new studies on biological effects and adverse health effects from electromagnetic fields such as power lines, electrical wiring, appliances, hand-held devices, and from wireless technologies such as cell and cordless phones, cell towers, Wi-Fi, wireless laptops, wireless routers, baby monitors, surveillance systems, and wireless utility meters smart meters.The report has been prepared by 29 authors from 10 countries; ten researchers have medical degrees MDs, twenty-one have PhDs, three have MsC, MA or MPHs. RF color charts can be downloaded as well as 4 links with summaries of hundreds of studies done between 1990 and 2012 on the “free radical damage from both RFR radio frequency radiation and ELF extremely low frequency and a set specific to electro-sensitivity.” http://www.bioinitiative.org/report/research-summaries/Lennart Hardell, MD from Orebro University, Sweden, said, “There is a consistent pattern of increased risk for glioma, a malignant brain tumor, and acoustic neuroma, with use of mobile and cordless phones.” Acoustic neuroma is a slow growing benign tumor of the vestibular cochlear nerve that connects the ear to the brain. As it grows, it can damage other nerves. “Epidemiological evidence shows that radiofrequency should be classified as a human carcinogen.”The topics explored, as evidenced by the abstracts, include damage to DNA and genes, changes in memory, learning, behavior, attention, sleep disruption, insomnia, heat sensitivity, cell damage, cancer, benign tumors, and neurological impairment and diseases such as Alzheimer’s. Human subjects as well as animals and birds were used. 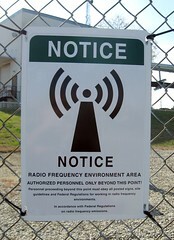 via Human health risks from Electromagnetic Fields and Radio Frequency Radiation Real.